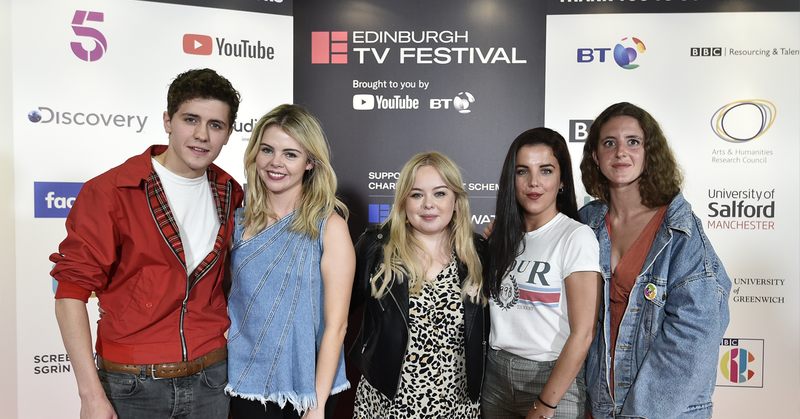 The Edinburgh TV Festival is one of the most prestigious media events in the UK. We bring together all parts of the television and digital world to celebrate the creativity, diversity and inspirational talent in our field, and to debate the major issues facing us as an industry. The Festival draws around 2000 delegates from the major networks and production companies internationally. 2018 saw a wide-ranging and eclectic mix of sessions, covering everything from sustainability to social mobility, to some revelatory Netflix data. Throw in a table read from the Derry Girls (pictured above), a hilarious and insightful masterclass on A Very English Scandal with Hugh Grant & Stephen Frears, a revealing and powerful MacTaggart from Michaela Coel, a look at how AI can make for a happier workforce and what impact C4’s relocation may have and it’s little wonder people leave with brains saturated with more than just alcohol. We've tried our best to cram the three-days into just five minutes so you can look back on what has been the most successful Festival yet. 2017 was an important year for news media and no one was better placed other than long-serving news presenter and journalist Jon Snow to the give the MacTaggart - who delivered a moving speech urging the media to face up to its disconnect with ordinary people following the tragic Grenfell fire. 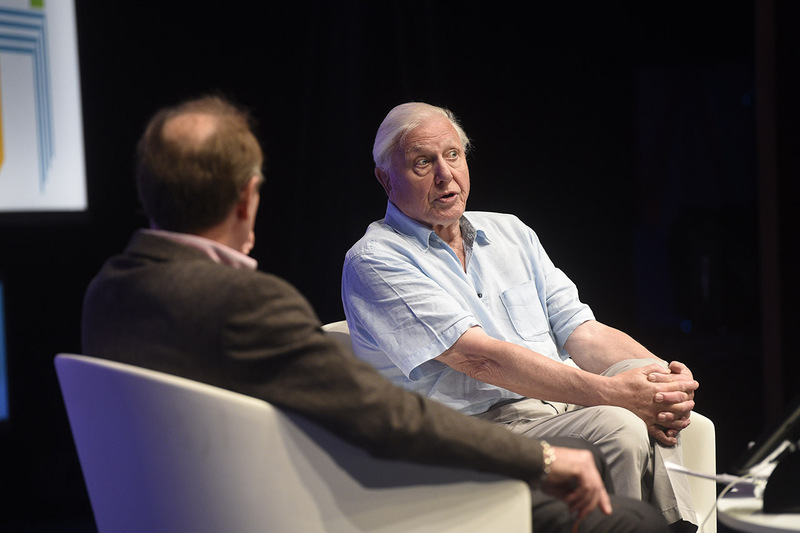 The Festival celebrated industry legends such as David Attenborough, Russell Brand, and Russell T Davies as well as looking at the future stars of TV with exclusive interviews with writer, Pheobe Waller-Bridge and YouTuber stars Dan Howell, Phil Lester and Humza Arshad. The Gamchanger strand once again included some of the biggest names in US TV such as Courteney Monroe from Nat Geo, Mark Gordon, and Starz's Carmi Zlotnik. Click below to see all this and more in our 2017 highlights reel. Our 2016 Festival line-up included a celebration of showrunners including Ronald D. Moore, The Vampire Diaries' creator Julie Plec and Sally Wainwright. 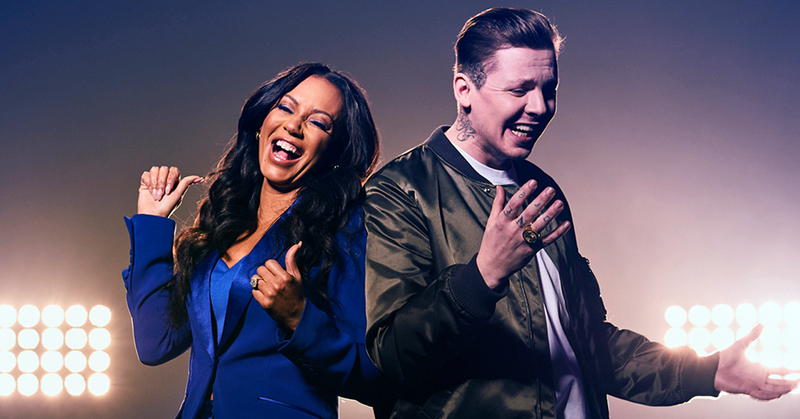 We were entertained by TV Execs taking on bizzare and TV themed challenges given to them by Greg Davies - UKTVs' own Taskmaster, and strutting their stuff in front of scary spice herself, Mel B, for a live Edinburgh special of Lip Sync Battle. VICE’s Shane Smith delivered a MacTaggart that still has everyone talking and we were given an insight into the brilliant mind of Sharon Horgan for the Alternative MacTaggart. To see our 2016 highlights reel click the link below. 2015 saw the introduction of the new Gamechanger strand which marked the beginning of a new international focus for Edinburgh. We saw channel bosses from A+E Networks, Amazon Studios, HBO, FX, Showtime, Discovery US, and ABC. It was also the year we were given the keys to the Big Brother house, so we decided to lock up put eight TV legends in their for 24 hours, leading to some of the most honest and hilarious antidotes you couldn't get anywhere else. 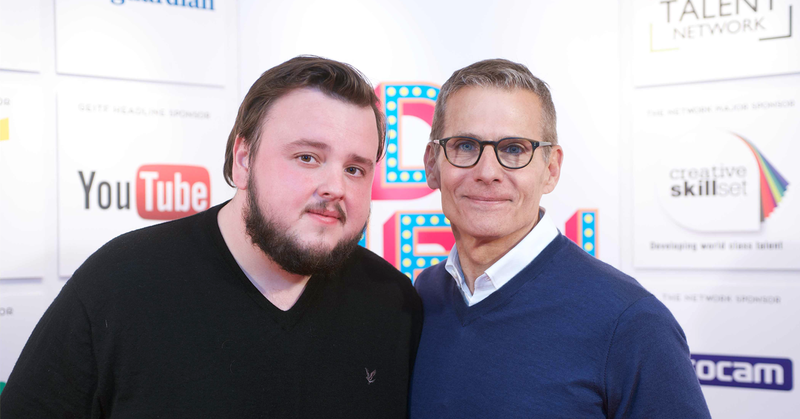 We held a conversation between Martin Freeman and Mark Lawson, premiered This Is England 90s, and said farewell to ITV’s Downton Abbey. Armando Iannucci gave one of the most memorable and inspirational MacTaggarts to date, urging BBC executives to interfere less to allow writers and directors to make programmes that can compete with the best of American television. Click the link below to see all this and more. 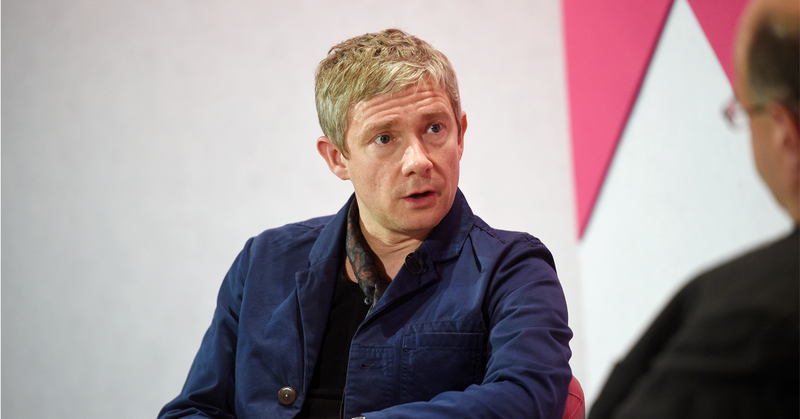 The Business of Creativity was the theme for 2014 so we packed our programme with masterclasses featuring the stars and creators of some of the most creative and innovative shows such as Game of Thrones, Line of Duty, Doctor Who and Catastrophe. As ever, we also cracked down on the biggest topics and issues facing our industry as Richard Osman interviewed Frankie Boyle on the State of the TV Nation, we revealed the results from our 'How to be a better Indie' survey and David Abraham's MacTaggart touched on America’s involvement in the UK TV industry, Super-Indies, and creating success for local TV channels. To see more from our 2014 Festival click the link below. At our 2013 Festival we held live versions of some of the year’s TV favourites. We had four television bosses try to impress Mary and Paul in our Great British Bake-off: Ultimate Live Baking Battle and a Room 101 special, hosted by Frank Skinner himself. We spoke with the showrunners of hits The Undateables and Pointless, had a chat with Gary Neville, heard from TV Execs about what the ‘worst TV’ they’ve made taught them, listened to Mary Portas tell us how to strip TV back to its essence and challenged the management skills of channel heads in ‘Media Crisis Live!’, an interactive session that simulated a digital media scandal unfolding. To watch our 2013 highlights reel click below. In 2018, the Festival had it’s highest attendance to date with over 2,100 delegates representing the full spectrum of the industry – from chief executives, controllers and commissioners to producers, directors, marketers, writers, new media companies, distributors and press. We have an extensive international attendance from over 24 countries, particularly from Scandinavia, France, Germany, USA, United Arab Emirates, China and Australia. Over 70 sessions take place during the 3-day Festival, ranging from keynote addresses, revealing masterclasses, topical panel debates and exclusive screenings. Last year these included interviews with industry heavyweights, Paul Telegdy, and Nancy Daniels, masterclasses with the creators & stars of, A Very English Scandal, and Derry Girls and the prestigious MacTaggart Lecture delivered by Michaela Coel. In 2018 the Festival hosted over 400 highly-targeted speed meetings, with most making new connections or winning new commissions. In addition to this, networking opportunities in Edinburgh are aplenty, from parties, drink receptions and VIP dinners. In 2019 we’ll be expanding our speed meetings and creating an online space full of facts, stats and clips that will make meetings easier to research, as well as more targeted. We do not make a profit. Instead your Festival Pass cash is invested into our two talent schemes which have been running since 1991 and have supported more than 4000 individuals. The Network gives brand new entrants a vital first step into the TV and digital industries, while Ones to Watch gives those at the early stages of their career a vital step up. Assessed, trained and mentored by a team of industry experts, we make sure the best and widest talent base is at your fingertips. 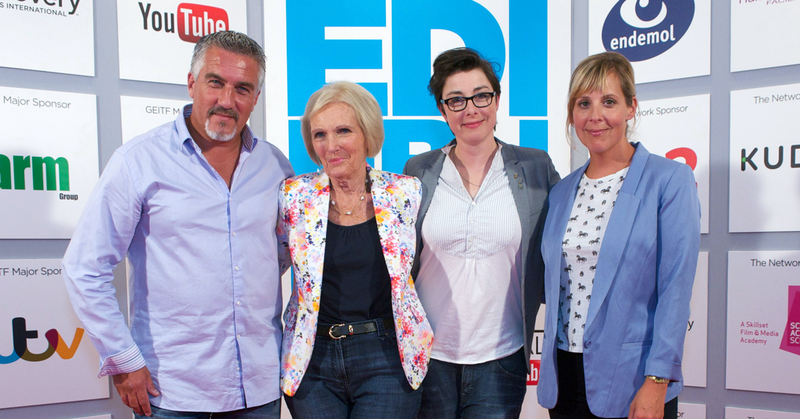 A selection of Speakers that have graced the Edinburgh International Television stage. A History of the Festival's origins. The networking opportunities in Edinburgh are second-to-none, from parties, drinks and VIP dinners, to our increasingly popular speed meeting strand. For 2019 we will be continuing on the success of our new ConnectED portal, which includes an online space full of facts, stats and clips that will make speed meetings easier to research, as well as more targeted. Get exclusive access to top UK and international commissioners, distributors, media lawyers and global brands attending the Festival.